We were made to crave God, not food! Join us for this 6 week video series on cravings and desiring God. Get healthy and grow closer to God at the same time! Free Registration Required. Sign up Here. This Grace Group, hosted by the Hannon’s, meets on the first and third Wednesday of each month. Contact Nancy Hannon at Mom4ajj3@gmail.com for more details, directions or to inquire about joining this group. You can also register online on our Grace Groups page. Grace is teaming up with others to serve locally in Burlington City. To sign up or to find out more, you can register HERE. Breakfast begins at 8am at Riverside Alliance Chapel (500 Front Street, Florence NJ). From there we will divide into 8 teams to serve in Florence and Burlington City. (Grace members will be assigned to a Burlington location). Teams will serve from 9am-1pm on various projects. A thank you lunch will be served back at Riverside Alliance at 1pm. Grace is partnering with Tabernacle Baptist and City of Refuge to host one of the best youth events of the year. Join us for dodgeball, hungry hugry hippos, fear factor and so much more. Plus food and an awesome speaker. We love Sunday mornings but we understand that connection and community happen best in informal gatherings. Our Grace Groups meet during the week in local homes and provide an excellent opportunity for you to plug in, pray and sometimes just play. Each group is unique. Our Burlington City Group is meeting every Sunday from 6:30-8PM. Many of our young couples and families at Grace enjoy this group but it is open to everyone. We love spontaneous potlucks and serving locally by participating in monthly playground clean up projects in Burlington City. 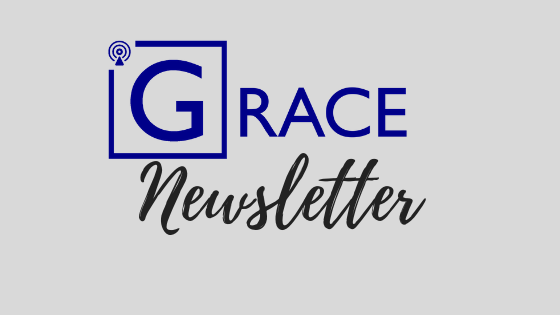 Contact Lauren@gracealliancechapel.org to get connected to this group. You are invited to join us for a slice of pizza and an informal time to ask questions and get to know our church. Men of all ages, including young men ages 13 and up. Fear exposes itself in the cracks of life. When relationships break, when your kids misbehave, when work pressures mount—fear surfaces, often in the forms of anger, withdrawal, and mistrust. Discover how to conquer fear at its root during our men’s conference entitled “Fear: The Battle Within.” Enjoy speakers, fun activities, giveaways, breakout sessions, and more. For any questions, contact Erik Rebstock at erikr@myfac.org or 609-953-7333, x116. Our Small Group will be participating in Encounter this week. Join us for a night of praise and worship at Grace. Encounter is simply that…a chance for you to come an encounter Jesus! This time we will be joined by City of Refuge from Burlington City. We will be hosting a brief 20 min meeting after church to share our vision and our budget for 2019. All are welcome. We will not be hosting Identity Youth Tonight. Please see the calendar for the next schedule Youth night.